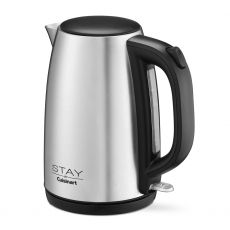 Every guestroom should include a STAY by Cuisinart® Cordless Electric Kettle. Water heats up fast to let extended stay travelers make themselves a quick breakfast of oatmeal and coffee, tea, or hot chocolate – right “at home.” With a Cuisinart cordless electric kettle, mid-day and late-night snacks like instant soup and ramen noodles are available 24/7. 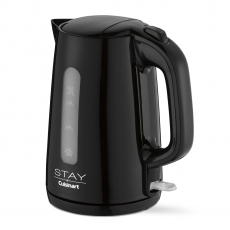 Extended stay guests can even brew a big pot of French Press coffee or tea for guests! 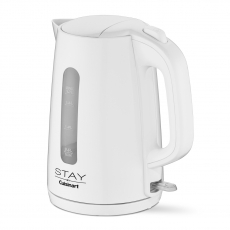 Kettles available in white, black or stainless finish.